Here is David McCullough, author of fantastic biographies and histories including Truman, which is in my bibliography, speaking words that might have come out of my own mouth verbatim. 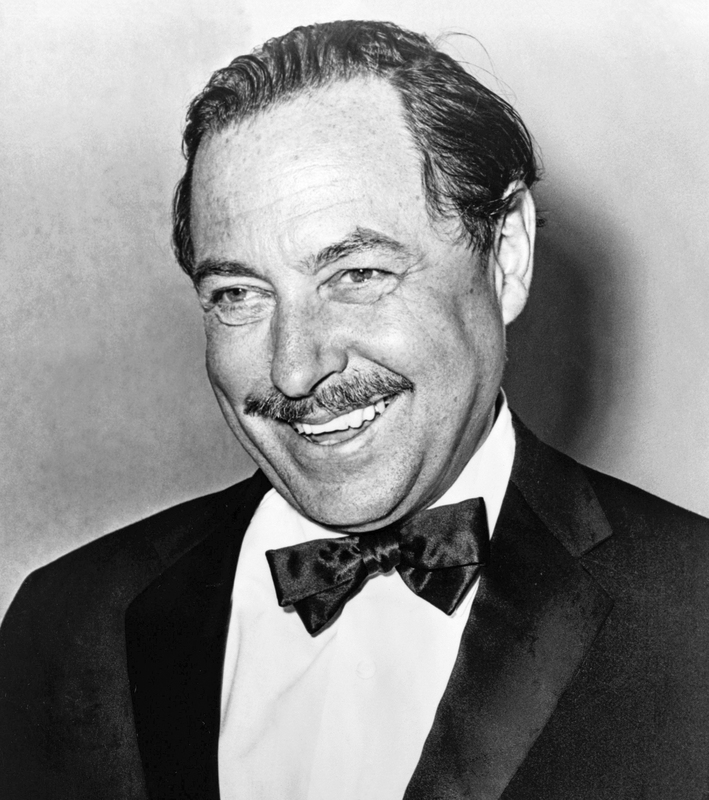 In 1944, at the age of thirty-three, Tennessee Williams scored a soaring triumph with his play The Glass Menagerie. And then? Catastrophe. That’s not my word, it’s his. He even wrote an essay called “The Catastrophe of Success”, which is nowadays appended to copies of the play. He could, of course, have used a different word for his success: Impostor. That’s what Kipling called it, and what I’m calling it (as well as disaster) in my book. Williams’ essay is, naturally, in my bibliography. I will add: Or the conditions that made you a warrior, such as Hannibal. Or a politician, or a businessman, or an athlete, or…. 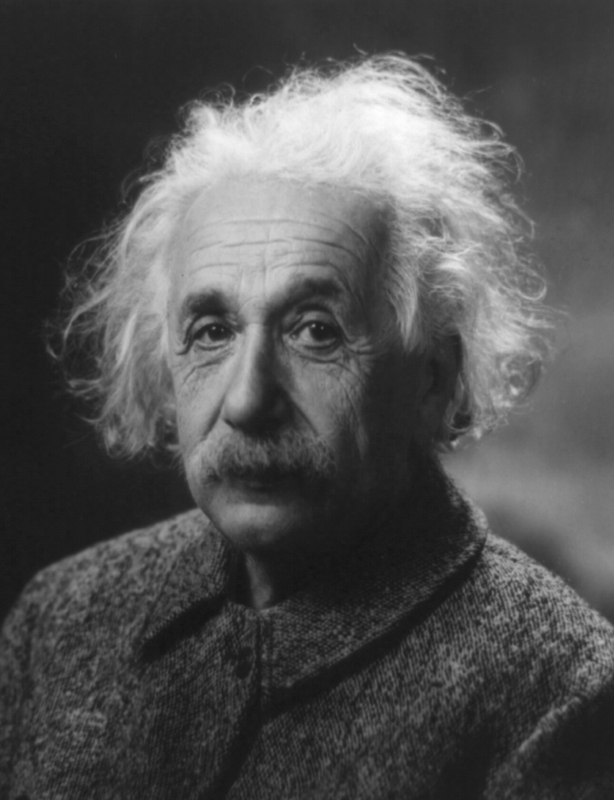 What made Einstein so creative? It was not his brain, which they literally embalmed after his death, says Walter Isaacson in his biography of the great man, which will be in the bibliography of my book. It was his utter disregard of authority, his refusal to conform. “Long live impudence!” he liked to say, and practiced what he preached. But he did so with a wry humility. He ignored conventional wisdom more than he rebelled against it. It bored him. But the world astonished him as it usually astonishes only children but not adults. He himself attributed this child-like ability to be amazed to his late development. Because he learned about space and time later than other toddlers, he thought about these things more deeply. One is that Einstein (and Newton and Galileo …) represents the best and most complete refutation–and indeed indictment–of all rote learning, all Confucian/Asian education, and indeed much of traditional education full stop. Another thought, more in tune with the theme of my book, is that even Einstein’s mental freshness could not last. Something happened to ensure that he would spend the first thirty years of his career as a rebel and the next thirty as a resister. “To punish me for my contempt for authority, fate made me an authority myself,” he joked. What was this treacherous something? It’ll be in Chapter 8 of my book. Earlier this month, I told you how frustrating it is when, in the course of the research for my book, I follow a trail into a dead end. Back then I had been reading about Casanova until I had to admit to myself that he didn’t fit into the chapter that I was re-writing. I swallowed and moved on. Well, the opposite can happen too. Almost a year ago, my friend Greg Balco (who has since proposed that I rename this blog An Inconvenient Kluth) suggested that I look into the life of Ernest Shackleton as one of my subsidiary stories. 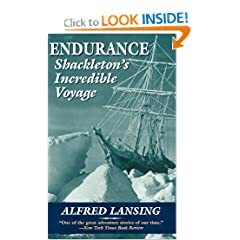 Shackleton took a ship named Endurance to explore the Antarctic, but got stuck in the ice, lost the ship and found himself and his crew, truly, facing a Disaster. What happened next was all about character! Anyway, I read the book that Greg recommended and loved it–in part because there is a lot of Greg in it. He is a geochronologist and his idea of fun is to camp in the Antarctic ice and drill for snow, or perhaps rocks; or perhaps they just go sledding. He would know exactly what Shackleton and his men endured when they subsisted on blubber on floes of ice for a year, with no light in the winter and no darkness in the summer. But as my own storyline was evolving Shackleton didn’t seem to fit. Now, a year later, I am reopening the middle chapters to make them perfect. Suddenly one of them has a gaping hole that cries out for a life, a character to fill it. This is the chapter about the least known of my three main characters: Fabius, the old Roman Senator who fought Hannibal by not fighting him, until the young and dashing Scipio came onto the scene. That doesn’t tell you about the context of the chapter, or about the hole in it that needs filling. Suffice it to say that Shackleton, suddenly, seems to be a perfect fit. Endurance hereby re-enters my bibliography. You’ve heard people talk about a “parting shot”, when, for example, somebody makes a miffed exit and on the way out emits a toxic word or two. Well, that’s wrong. It’s not a “parting” shot. It’s a Parthian shot. Who were the Parthians that we name a shot after them? 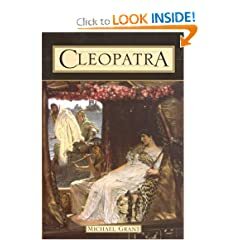 I bring this up because I’m still reading about Cleopatra as research for my book. And I’m now approaching the bit where Mark Antony, her second lover (after Julius Caesar, the first), is preparing to head east to conquer those Parthians, even as Cleopatra was four or five months pregnant with their third child. Those are the same Parthians that had succeeded the mighty Persian empire, and who had only a generation before slaughtered an entire Roman army under Crassus, after presenting him his son’s head on a stake. They were utterly not to be messed with. Indeed, Mark Antony, too, would turn back in disaster, with two-fifths of his army killed. The Parthians would remain invincible for another century and a half. Now to the point: Their most insidious and effective tactic was the retreat, real or feigned. 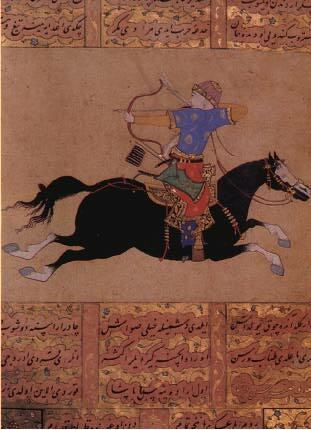 The mounted Parthian archers would suddenly gallop away, drawing the enemy army after them in hot pursuit. But the archers, in full gallop (no reins or stirrups needed), would turn and shoot back, arrow after arrow. In short, a great party trick, to this day. Well, this is frustrating, but it does happen when you write a book. Sometimes you go down one path in your research before discovering that it’s a dead end. Then you have a choice: You can somehow finagle it into your book and hope that it works. Journalists do that a lot, because they don’t like admitting (to themselves) that they wasted time searching in the wrong place. 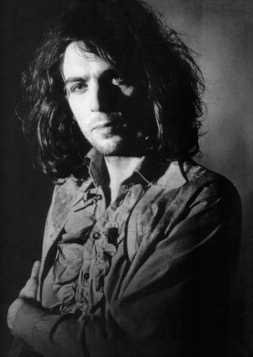 Or you cut your losses, say ‘Oh well’, and keep searching for the perfect and sublime. That’s what I just decided to do, after much agonizing. As you know from several previous posts, I was reading into the life of Casanova as one of my characters for a particular chapter. He led a fascinating life, but it just doesn’t work in my specific context, at least not perfectly. I considered replacing him with Mata Hari. (In general, I want more female lives in the book.) Also not a perfect fit. Con: She’s an “ancient”, as are the protagonists in the book (Hannibal, Fabius and Scipio). So there may be too much of that. Pro: People love her, she’s fascinating, she’s female, and…. she fits!!! If you’re trying to figure out what these people have in common and why I need one of them in my book, I’ve dropped a veiled hint here. Feel free to guess. Folks, this is an important book. Notice I did not say “riveting” or “thrilling” or “entertaining”. It’s short and academic, not for the beach. But let me say it again: It’s important. On the left are what Galenson calls “conceptual” types. They are the “young geniuses”. They tend to succeed early in life, in their twenties or thirties, with huge breakthroughs of the imagination. They have a big idea, then execute it boldly. Their youth and inexperience, rather than hurting them, helps them because they don’t let the complexity of life experience confuse them. They often cannot follow up later in life with more success. On the right are “experimental” types, the “old masters”. They tend to succeed late in life and gradually build toward a legacy. They don’t have one big idea, but try things out, refine their craft, work hard, learn and discover. They get better with age and experience, because they incorporate the complexity of life into their art. They often succeed right up to the end. By now, you will have figured out how this plays into my book. For some of the young geniuses, early success is an impostor, as Kipling would say, while for some of the old masters, early failure is an impostor. 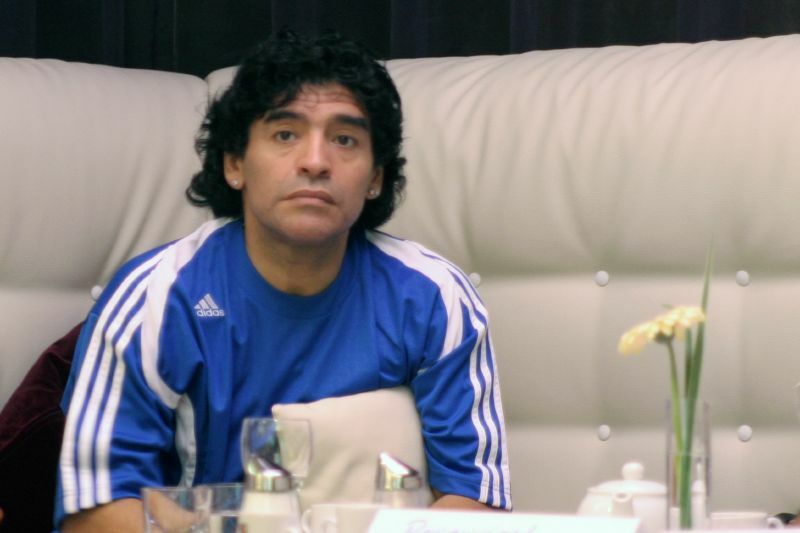 Contemplating Barret, I think of people like Diego Maradona, who soar to fame, success or some other kind of triumph in their field, but apparently too early in life to be able to cope with it. Then they fall apart. Drugs, alcohol, or less obvious but equally insidious lapses of personal discipline. They become wrecks. 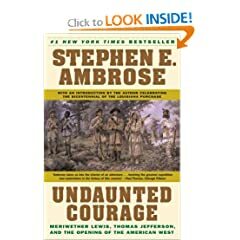 The book in my bibliography in this regard, which I recommend, is Stephen Ambrose’s Undaunted Courage : Meriwether Lewis, Thomas Jefferson, and the Opening of the American West. 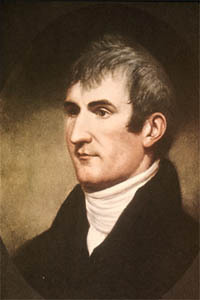 Meriwether Lewis, you recall, is the first half of the Lewis & Clark expedition that explored the North American continent west of the Mississippi and to the Pacific after Thomas Jefferson bought those lands from Napoleon. Lewis is, in many ways, an American Hannibal: a young, dashing hero who did what many thought was impossible. But what came next? Whereas his friend William Clark, upon their return, married and lived happily, Lewis fell apart. He couldn’t handle the fame. No luck with women. Booze, later even morphine. He did not publish his famous Journals. Jefferson made him governor of the territory he had explored, but he failed in every respect, defaulting on his debts and drinking himself into oblivion. In his mere thirties, only a few years after his breathtaking success, he killed himself in a dingy Tennessee tavern (although the event remains a bit of a mystery). Impostor triumph indeed. To me, this sort of tale is not the end of a story but the beginning of one. What happens to these people?